Summertown Interiors – one of the UAE’s leading interiors fit-out contractors – has received its first ‘CSR Label’ from the Dubai Chamber of Commerce. The accolade was presented last month in recognition of Summertown’s efforts to promote sustainability both externally through its projects and internally through its HR practices. Summertown Interiors scored higher than the average CSR Label achievers’ score in three of the four areas assessed. 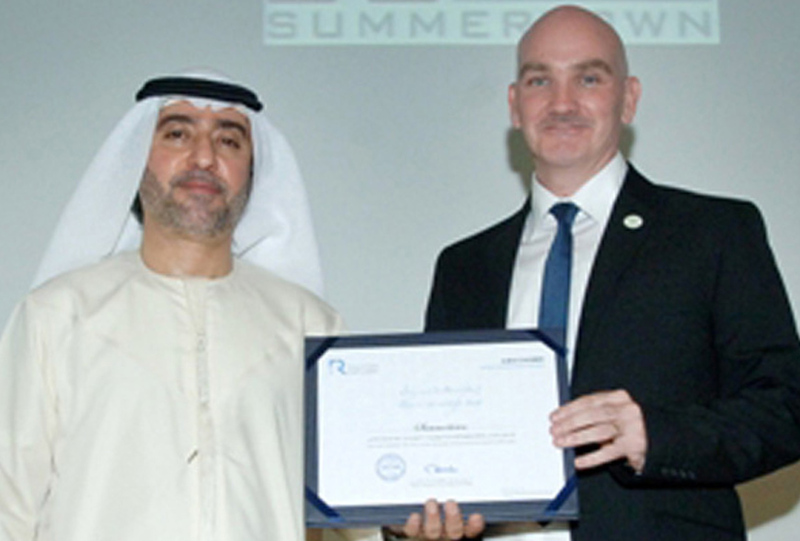 According to Dubai Chamber, Summertown’s ‘Eco-Leaders’ programme and HR practices were significant contributors to the company receiving the award.